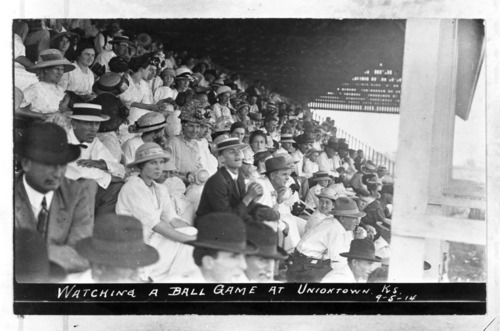 This photograph shows a large group of spectators watching a game in Uniontown. The crowd is seated in a covered grandstand and includes a mix of men and women. Nearly all of them are wearing hats.